Qualitest provides quality control departments and research laboratories with an extensive range of top quality Durometer and hardness Tester for accurate hardness determination on all natural and synthetic rubber products and soft elastic materials, plastics, acrylic glass, acetates, casting resin, polyester, thermoplastics, PVC, neoprenes, hardboards, wood, leather, fruits and much more. Our products provide the highest precision (normally 0.5% or better), quality and craftsmanship, durability, “yet require” almost no calibration in many years after the purchase. Our designs are engineered so that the Durometer stays precisely within the standard requirements. Qualitest Durometers are referred to as the “Swiss watches” among other products on the market. Investing in our line of Durometer is a guarantee of accuracy and assurance for many years of operation. 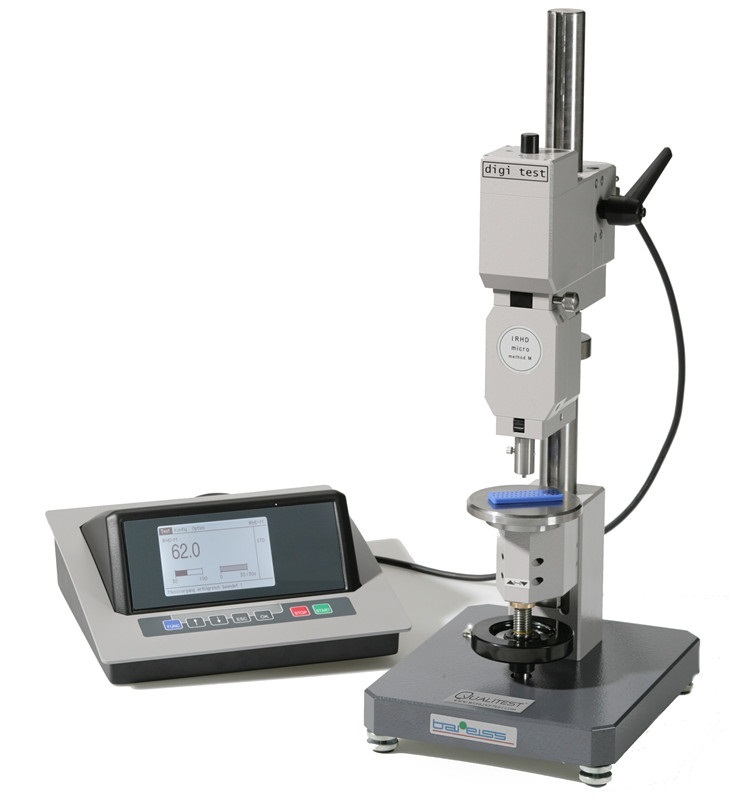 New generation Digital Shore Hardness Tester HPE III with temperature indication for specimen and environment.